(L-R, seated) Plastmann Industrial Corporation’s Vice President and Director Jeffrey Co and AC Energy’s Chief Finance Officer Corazon Dizon. (L-R, standing) Representing Plastmann Industrial Corporation, Noel Flores, Head of Legal and Human Capital; Nerick Co, Vice President; Johnny Co, Director; from AC Energy, Eric Francia, President and CEO; Hannielynn Tucay, Head of Retail Operations; Mico Cornejo, Sr. Manager for Sales. 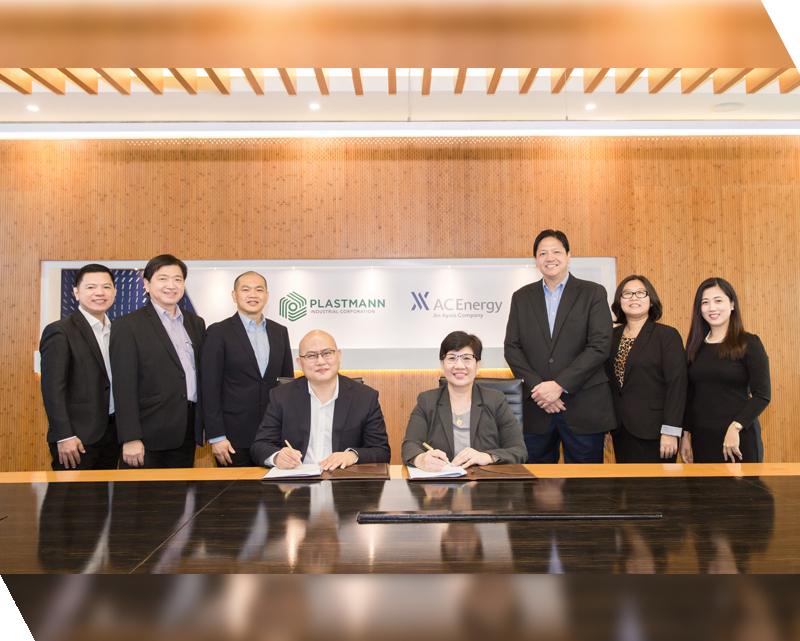 10 October 2018 – Plastmann Industrial Corporation signed a retail power supply agreement with AC Energy, a wholly owned subsidiary of Ayala Corporation. Plastmann Industrial Corporation is a manufacturer of a wide range of plastics products catering to both domestic and multinational customers.